Ajnia is the ambient and downtempo project of Javier Gomez (AKA elpirri), an artist based in Madrid, Spain. His last work is an emotional review to the ancestral Elements that make life possible on the planet. Even today, we can feel it like natural forces with enormous power to overwhelm the spirit of the people and connect them with Nature and with his own deeper Being. All tracks composed and produced by Ajnia. Mastered by Nick Litwin @ Mastering Mansion, Madrid. Artwork by elpirri. Intro to Ether: space sounds recorded by NASA. MP3 Download | FLAC Download | WAV Download · Download count: 10,244.
how many releases have been titled “Elements” by now? But is it shamanic or does it just pay lip service to the name? 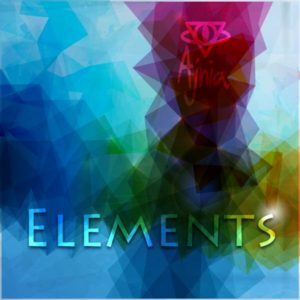 I’m finding Ajnia to be very Elemental. Gorgeous, patient and emotive. Thank you.